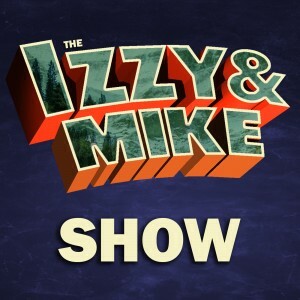 Izzy & Mike tackle their first episode of their first animated series, Disney’s Gravity Falls. In Tourist Trapped, we meet the characters and find out how Dipper and Mabel Pines ended up with their Gruncle Stan at the Mystery Shack. What is with the weird voice at the end of the opening sequence? What kind of cipher is needed to decode the message in the credits? Why do gnomes vomit rainbows? We may or may not answer any or all of these questions! Correction: We named the voice of Dipper as John Ritter, but meant Jason Ritter (John is his dad). Please join us and follow along as a dad strengthens his relationship with his daughter by talking about the shows they both enjoy while she seeks a little bit of internet fame. You can also find us on Facebook, Twitter, and Google+. Subscribe to us via RSS, iTunes, Stitcher! Too cute. Always good to see a dad building his relationship with his daughter. Thanks! She was super excited when I showed her we had a Facebook page and people were actually liking it. “Ok, let’s get back to the podcast”. I almost spit out my coffee….